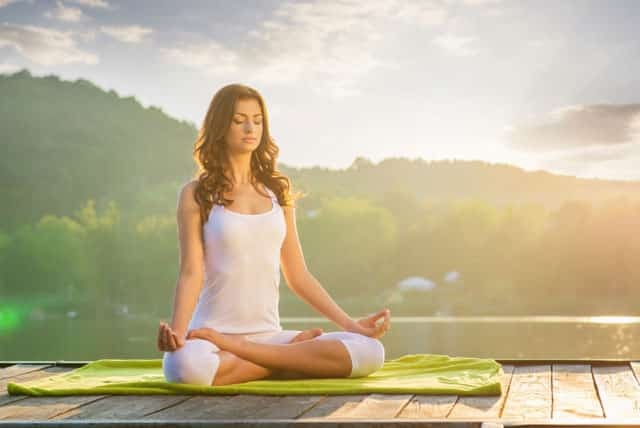 The Health Benefits of Yoga – While many people start doing yoga because of its reputation for helping with stress relief, there are many other benefits of this ancient practice. No matter whether you think you are the most inflexible person in the world or can touch your toes with no effort, there are dozens of reasons to “get your yogi on” today. Read on for some of the key ones you need to know about. One of the main reasons why people start yoga is because it improves flexibility and posture. Over time, as you practice the poses, you will gradually notice a loosening of your muscles and better alignment in your body. Poor posture can be caused by, among other things, inflexibility in the body’s connective tissues (such as ligaments and fascia) and in muscles, so yoga can help by giving more mobility and straightening the spine. Different types of back pain are very common across America and the globe. Yoga can be used as a pain-management strategy for people with chronic pain. It helps to give people better back function and spinal flexibility, which in turn can reduce pain. Keep in mind that the spinal disks in the back, which are the “shock absorbers” between vertebrae, need movement or will end up herniating and compressing nerves. Adding yoga to your routine will help to keep your disks supple. Yoga is also recommended for people who are suffering from sciatic nerve pain. It can help to relieve pressure on the sciatic nerve, and to get more movement into the body, thereby reducing pain levels. You might think you have to hit the gym and do weights to increase your strength, but you can actually boost it by doing yoga regularly, too. A whole-body workout that involves using your own body weight to get into and stay in positions, yoga will help you develop more strength in your muscles and create overall functional strength. As you develop these muscles, they will help to protect you from issues such as back pain, arthritis, osteoporosis and more. In addition, note that performing yoga moves after you’ve spent time doing intense weight sessions in the gym will help your muscles, joints and bones to repair and gives them more of a chance to grow and develop. If you want to ward off osteoporosis or help yourself to improve your bone health so you don’t suffer as many consequences, yoga can be your friend. 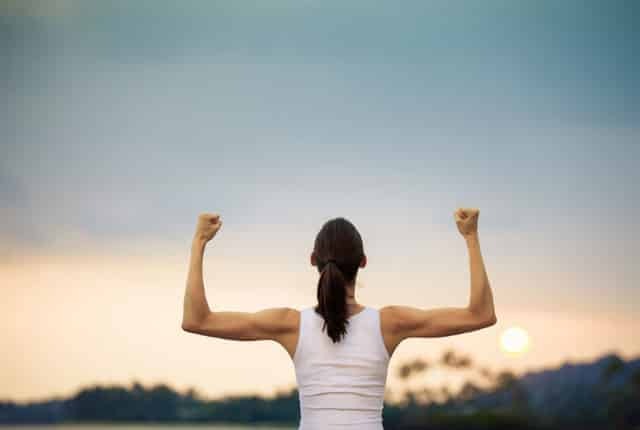 As a weight-bearing exercise, it strengthens bones as well as muscles and therefore makes you less likely to have brittle, easily-breakable bones. Furthermore, since practicing yoga helps to reduce stress levels, it reduces the levels of cortisol, the stress hormone, you’re going to have in your body. It’s believed that lowering cortisol helps to improve calcium absorption, which is critical for bone health. You might think of yoga as just a slow, relaxing, soothing exercise, but it does actually get your heart rate up. The movement and poses can improve circulation, particularly in the hands and feet, and helps to bring more oxygen to the cells. These cells function more effectively as a result. The many twisting kinds of poses which are part of yoga are believed to be great for “wringing out” the blood in your internal organs and getting more oxygenated blood to flow around your body. Similarly, the inverted poses in yoga aid blood to move around and be freshly oxygenated by the lungs. Plus, yoga can help with hormone regulation because it gets blood flowing to the reproductive organs more efficiently. Then, the health benefits of yoga is lowering blood pressure. These days, there are millions of people across the world who have high blood pressure, and who are at higher risk of stroke, blood clots and more. If you’re in this category, consider taking up yoga to help with hypertension. Studies have found yoga can help people decrease their blood pressure, likely because the exercise helps to restore the “baroreceptor sensitivity” in the body which senses imbalances and helps to regulate blood pressure. Lastly, because yoga is so much about slowing down the mind, quietening the incessant chatter that goes on and concentrating on the here-and-now. It helps people to become more present and mindful. Apart from the stress-relief benefits that come from this, mindfulness also encourages people to think about what they’re eating and how much they consume. This can lead to improved health by way of a reduction in junk food consumption and the number of calories eaten and a slower pace of eating, which aids digestion.